Hempstead Dog Owners Need Access to Town Parks! 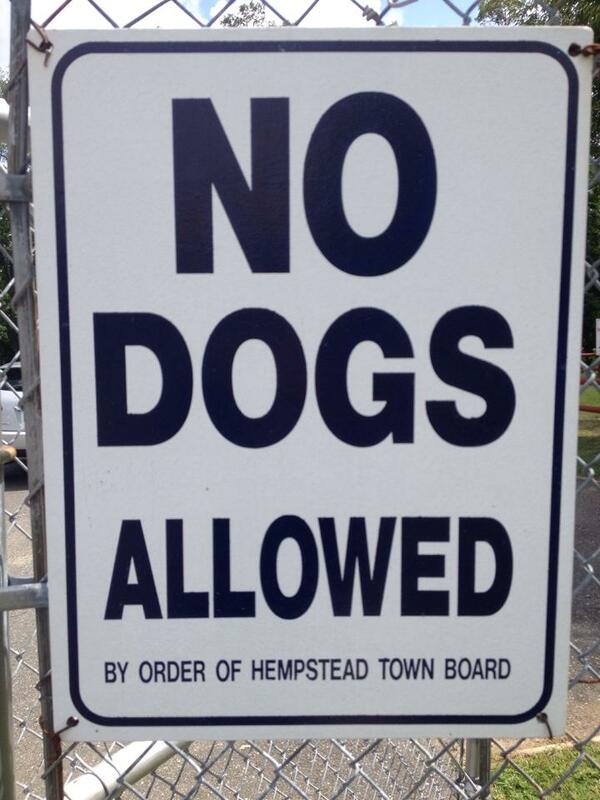 The Town of Hempstead has over 90 parks with 1,000+ acres of land–all with strict “No Dogs Allowed” rules. These public parks do not allow dogs either on leash or off leash and it’s time for a change! Dog owners need a place to exercise and socialize their dogs. If you would like to see a local dog park and on-leash walking trails created, join us to make it happen! Help gather petition signatures and assist with a letter writing campaign to Town officials. Join the Oceanside NY – Dog Park Facebook Group to keep up to date on the campaign and learn all the ways you can help! For additional information, check out the article in the Long Island Herald, Residents Push for a Pooch Park.